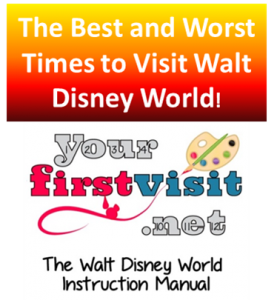 The best times to go on a first family visit to Walt Disney World are lower-crowd periods outside of the ride closure and peak hurricane seasons. These periods are highlighted in this site’s 2019 weeks to visit–each ranking the weeks of the year in order of best to worst. Pretty much all other times, but especially Christmas week, New Year’s week, and the weeks before and after Easter. 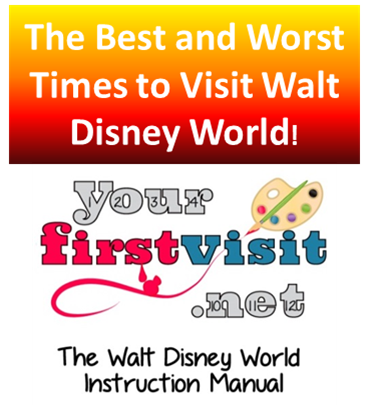 Walt Disney World is the most crowded when kids are out of school: over summer through later August, Thanksgiving week, Christmas and New Years weeks, Presidents Day week, the spring break month of March; and the weeks before and after Easter. Crowds matter because they can increase waiting times by a factor of 3-4, lengthening your trip and/or reducing its value as a vacation while you are there. The times when kids are out of school are (mostly) also the most expensive times to visit–Disney increases resort prices at times of higher demand, so that for example the same room at the Polynesian is $1800 more during Christmas week than during the week this site recommends. 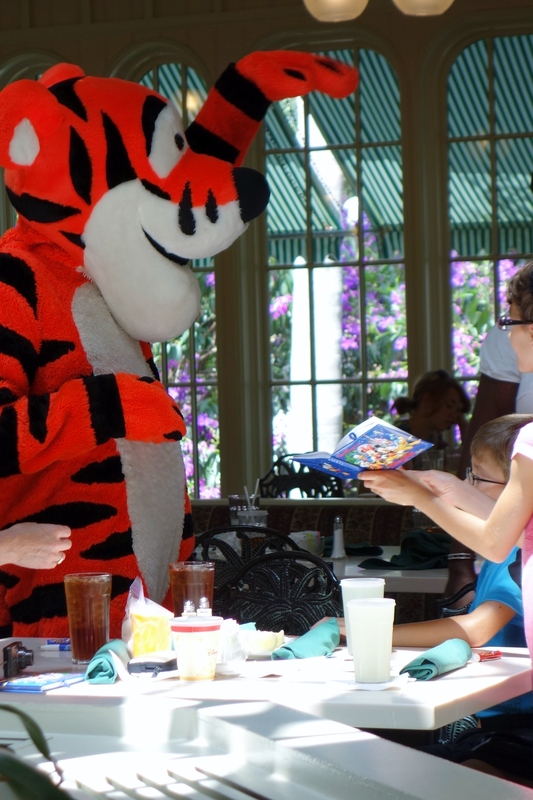 Walt Disney World pricing is complicated, and prices do vary during these busy periods–for example, prices go down quite bit in August, even though the first two weeks are busy. But generally you will pay more during the periods when kids are out of school. The hurricane season officially runs from June 1 through November 30, but strongly peaks from mid-August through early October. Warm weather becomes materially less likely starting in mid-November, and the chance of good pool weather does not sharply improve again until mid-February. See Weather and When to Go. Hi Lance, – This is Kelly B, from Destinations in Florida. Even when Disney resorts are at capacity, if all guests went to the parks you would still be under half full. That other half of crowds are from off property resorts and locals. Also if you are looking for exact dates and length of stay, it may show no availability. Disney is wanting to fill up certain dates, usually week stays. So sometimes it means playing around with actually check in dates (Maybe the 27th over the 26th) or length of stay 6 nights instead of 5 or 7. If you decide to change, the very last week of Jan, first few days of Feb gets my vote. We are thinking of taking our Foster Sons age 1 and 5 to Disney World sometime this month. Can you tell me when the best time to go is between December 17th and January 4th as far as how crowded it is and expensive? Marie, crowds will start to get wild starting 12/21 or so and will be very bad through your January dates. Unless you buy one-day tickets, ticket prices will be the same the entire period. If you were planning a Disney World hotel, prices get quite high 12/15 and go up to their highest level of the year on 12/22. They go down 1/2. However, the hotels are likely largely booked already. David, the DIsney hotels are almost always full-they run 85-90% occupancy. In a set of parks that average 150,000 people a day, the folks related to Pop Warner just don’t make much difference in the parks. Hi there! We just got back from a trip to Disney World (1/27 – 2/2) and it was so much more crowded this year than it was last year this same week (last week of January). Do you have any idea why? Is the end of January now one of the more popular weeks to visit? Already thinking about our next trip! Hey Joanna, crowds that week have indeed been going up the past couple of years, and seemed to spike up this year. No one knows precisely why, but I’d guess it’s the combination of the Pro Bowl, Festival of the Arts, and the Harry POtter weekend at Universal. Hi there! We will be coming from AZ next year and would plan to take advantage of time off school in October (fall break) and stay for two weeks, with 7-10 days in the parks. I have 4 kids who will range in age from 6-18 at that time. How bad are “moderate” crowds? Will we still have fun and get to do everything with so much time available? How many days would be best? Jennifer, which part of October are you targeting? The first half is worse than the second. Frankly, with wise choices of which park to go to which days,and good park plans including judicious use of FastPass+, you will be fine. See this and its daily links for an example. WDW is worldwide destination – I’m sure you have more international visitors than Floridians but you insist on using local holidays in you calendar. I have no clear ideas when Thankgiving, Presidents Day and Memorial day are – though I would guess that Thanksgiving is near Christmas and is Memorial Day like Armistise day? We can only go in either early April or late July – which is better? Luckily for my millions of readers, I am not that stupid. US holidays–except spring break–are largely consistent across the nation, and so my holidays cover the ~80% of WDW visitors who are US based. When I address a specific year, I give the actual dates–see for example, the table on this page. I cannot answer your question unless you give me more precise dates–e.g. the year. We are planning to visit WDW May 25 – Jun 1,2019. What’s your best guess on how bad the crowds may be? Hi, just stumbled on your website and I can’t wait to read through it. I’m wondering whether you can help me and my husband identify the best time to go. We have 3 children, 4, 6, and 9. We are planning to pull them from school so we can go whenever is best. We have a friend who will rent us his DVC points for a very low price so we are planning to stay at a DVC resort. I have been to Disney many times as a child, and one time as an adult with my husband, but that was 18 years ago. My kids have never been and it will likely be at least 4 years before we do it again, if we do at all. Our top priorities are low crowds somewhat reasonable weather. We do not want to go in sweltering heat. We definitely want to do it in 2020. What are your top 3 picks? Hey Colleen, take a look at this. It is my draft ranking of the weeks in 2020, in order, but mostly ignoring weather. Heat can be pretty horrible from mid-May through September. It can be cold from November into March. So that leaves October and April as the best weather! See this for more on weather at WDW.